As architects we strive to improve the lives of people through the places that we design. We do this by shaping space and form, responding to the specifics of site and context, and by thoughtfully addressing the unique and complex programmatic requirements of each project. Design is a journey of discovery and our rigorous approach engages our client as partners in the design process. We dig deep to create artful design solutions that fulfill our client's aspirations and are responsive to the larger social, historical and cultural context. KSA is an architecture firm serving educational and private clients in the US and abroad. 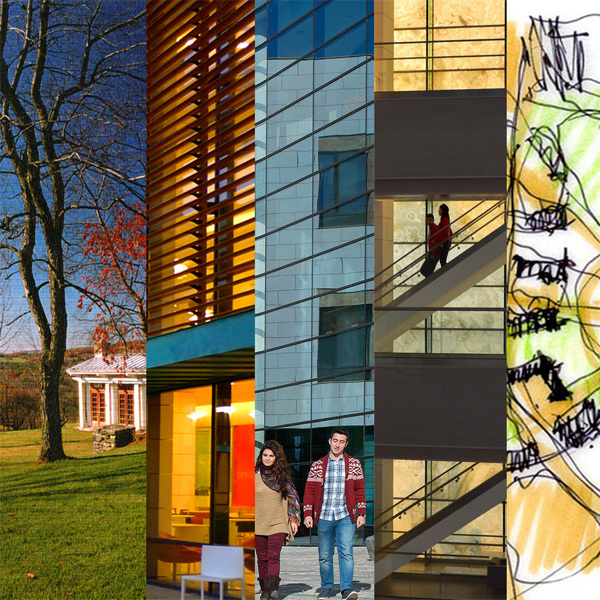 Our diverse practice includes the planning and design of buildings for higher education-classrooms, libraries, innovation labs, buildings for the visual and performing arts, student life facilities and campus planning. KSA's practice also includes the planning and design of commercial projects. Our hands-on approach allows the principals to be consistently and actively involved in each project, ensuring high-quality service and creativity.